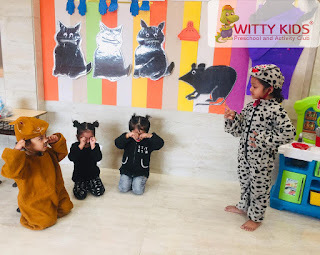 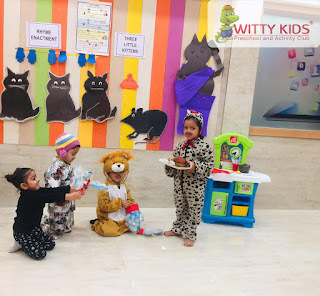 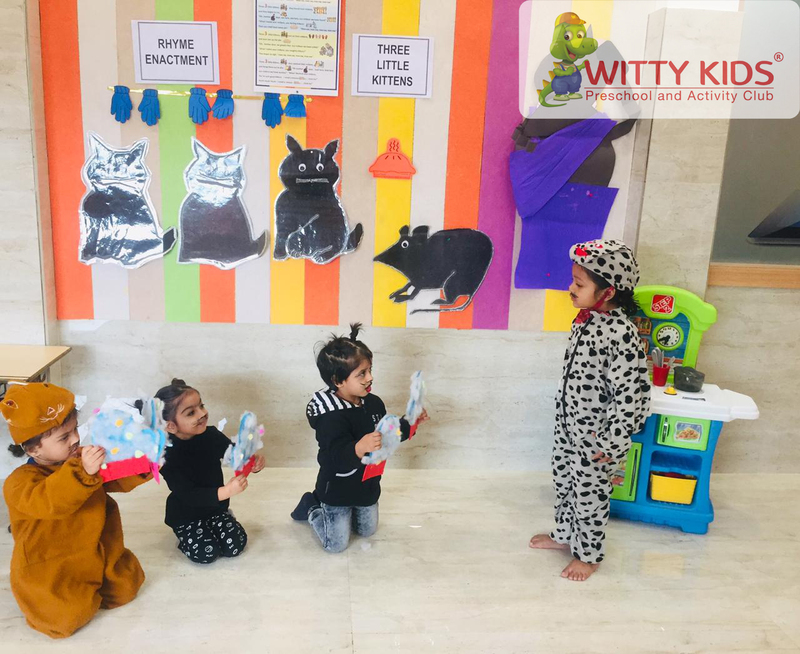 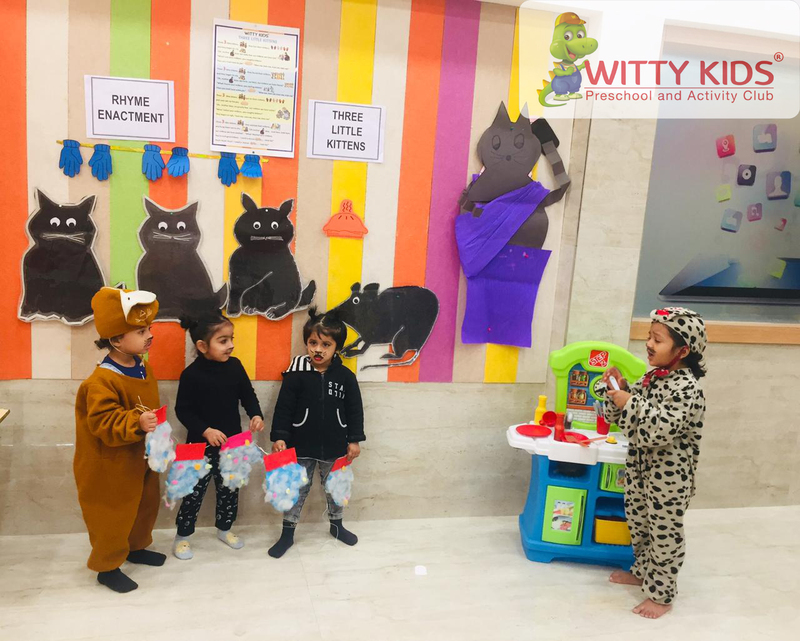 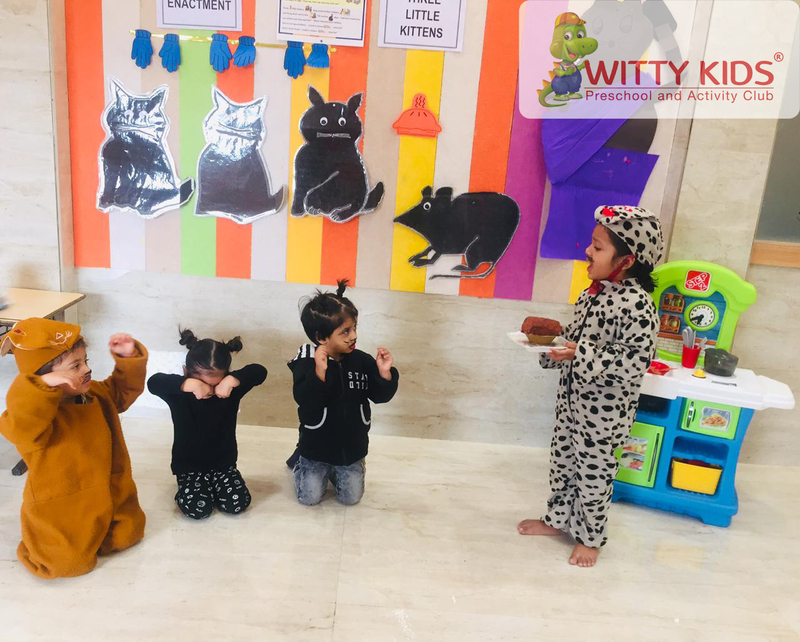 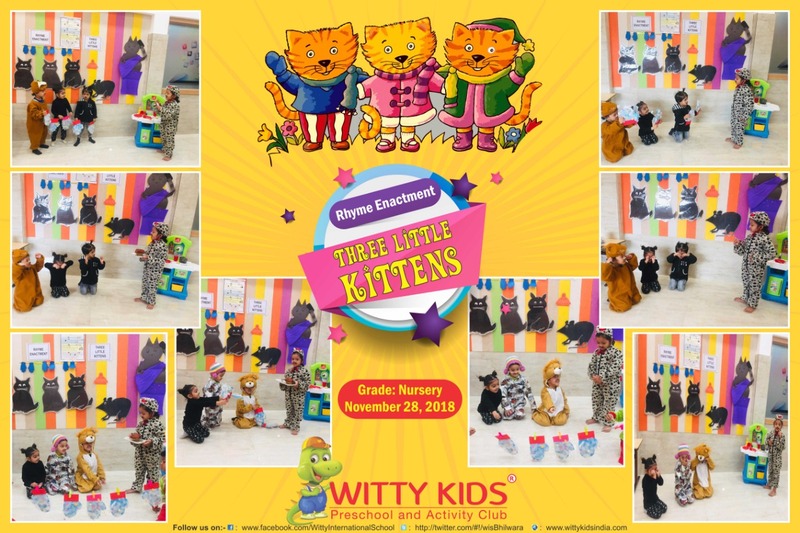 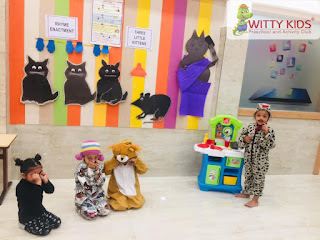 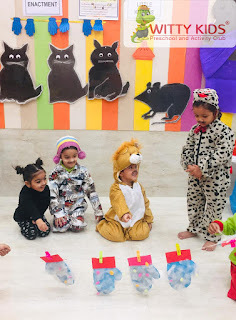 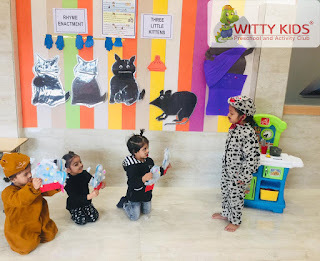 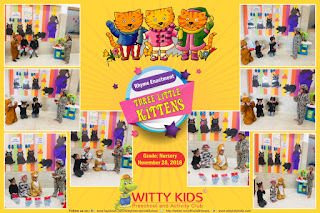 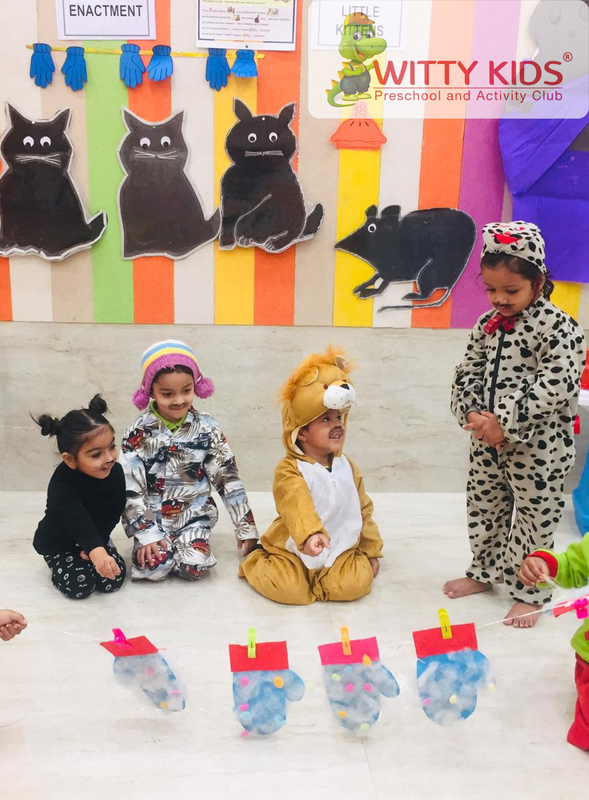 It was a fun frolic day on November 28'2018 for the toddlers of Nursery at Witty Kids, Bhilwara, as they had the rhyme enactment of the rhyme "Three Little Kittens". Children enthusiastically came dressed as kittens and Mumma cat. 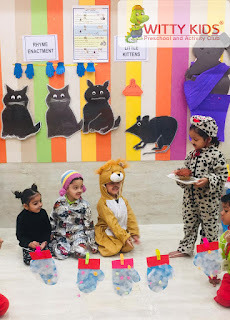 The class was decorated as per the rhyme. Children actively participated by singing and visualizing the characters and objects in the rhyme.